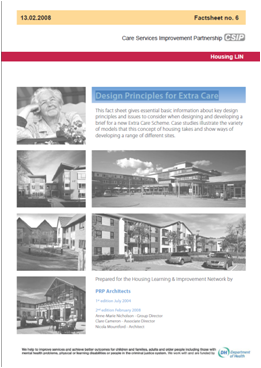 This fact sheet gives essential basic information about key design principles and issues to consider when designing and developing a brief for a new Extra Care Scheme. Case studies illustrate the variety of models for this concept of housing. It shows ways of developing a range of different sites.